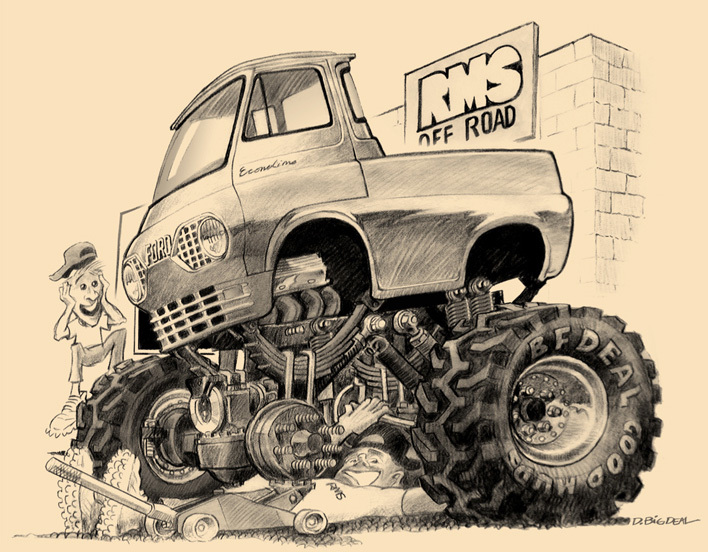 RMS OFF-ROAD is a full service shop. When we build and set up the suspension on your truck, you won't find sloppy welds or missing parts. Our work is sold through various dealerships, which means the dealership guarantees the truck to its own customers. This confidence is the RMS-OFF ROAD reputation. When we set out to build you a radical ride, sure it's radical, but it's well done and carefully executed for your family's safety. We are off-road enthusiasts like you and have gotten our share of air time, but the main reason we are still in business after all these years (since 1986) is called "QUALITY". Uncompromised quality. Come on over and check us out. You'll find friendly, helpful and extremely knowledgable advice...even if we just skinned our knuckles with an open end wrench. We are here for your every need from rebuilding your frontend, to ball joints, steering, brakes, wheel bearings you name it. We will do it better and with better or higher performance parts that will make your truck feel and drive like a dream. Our works speaks for itself, you can always spot one of our customers trucks. An RMS truck just has a certain look that always stands out from the rest. When you do, our wish is that you'll become one of our family of happy and highly motivated OFF ROAD customers.